Ladies Night Anthology, Tables and Patreon! Summer is in full swing and I've been busy making art! 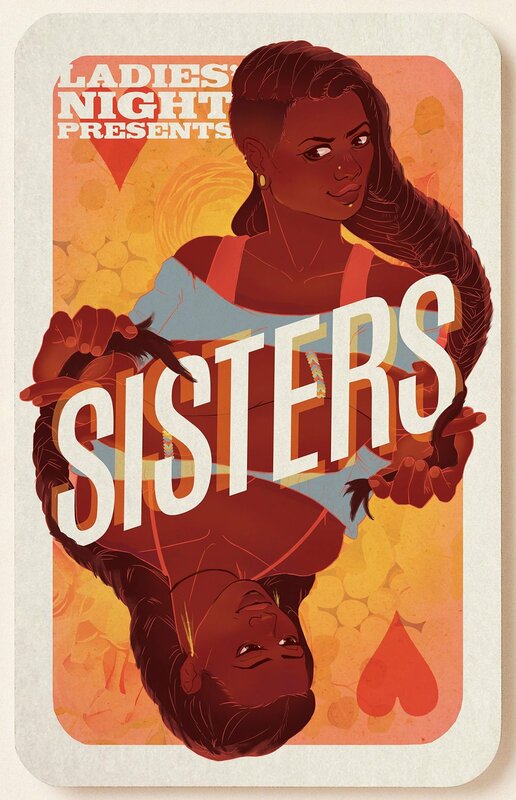 I've announced this on a lot of other social media, but let count this blog post as the ultra super official announcement that I will be participating in the next Ladies Night Anthology: Sisters. I will be working with Heather Fischer who writes for Rogues Portal. Visit the LNA Facebook Page to see the full lineup! I will be sharing process work from this project on my instagram, so stay tuned for sneak peeks of the comic I'm working on! Mark your calendars because I'm doing another small round of tables this summer! August 5&6 check out the Sulzer Library Comic Fest. The Sulzer LIbrary is the one I would go to most often while I was growing up so I'm really excited about having a table there. I'll share updates once I get confirmation. RetCon is a new Chicago comic book convention devoted to fantastic comics. While other comic conventions have shifted to focus on pop culture, RetCon brings the comic book back to the forefront. The comic book community is filled with diverse, up-and- coming writers and artists who are not currently featured in the mainstream comic industry. RetCon is committed to representing diverse creators.